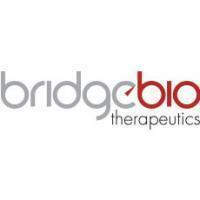 Bridge Biotherapeutics said it presented the preclinical and phase 1 study results for BBT-401, a drug candidate for ulcerative colitis (UC) treatment, at the poster session of the Crohn's & Colitis Congress last Thursday. BBT-401, found by Sungkyunkwan University and Korea Research Institute of Chemical Technology, is a gastrointestinal-tract restricted small molecule inhibitor of Pellino-1. Bridge Biotherapeutics and Daewoong Pharmaceutical have recently signed a license agreement to co-develop BBT-401. The results strongly suggest that BBT-401 will exclusively act on damaged intestinal membranes of UC patients, which will lead to the development of an efficient UC therapeutics, it added. The company began registering patients at three institutions for the phase 2 clinical trials of the drug in December. It plans to start the clinical trial from this month as it has recruited additional patients at seven other locations.